This is a wake-up call for young and old Americans, wearing Che Guevara t-shirts, Mao’s hammer and sickle t-shirts, holding “I support socialism” posters, and proudly displaying Hillary and Bernie bumper stickers, the ole Bernie who hates capitalism so much that he accepts political donations from evil capitalists, drives expensive cars, and owns and lives in pricey homes most of his supporters cannot afford. If I could show young people today what communism is, those clamoring for socialism and communism to be brought to American shores, those who are tired of capitalism because they are so fat and happy, they want the challenge of poverty and want, the challenge of the communist code-speak of “social justice” and “egalitarianism,” I would send them to Cuba, Venezuela, and North Korea for a few months so that they could experience first-hand what the utopia they see as paradise is like. If they want Bernie’s socialism so badly, I would take them to Venezuela, formerly a well-off country with rich oil reserves, brought to bankruptcy and penury by the lying socialists who gave the poor a dusting of free food and basic medical care but when the money dried out due to gross mismanagement and theft of the economy by the ruling communist elites, the handouts disappeared. The incompetence of socialist and communist community organizers brought the country to its knees, with inflation exceeding five digits. Millennials should learn the facts of real historical events under socialism and communism from those who have experienced it and escaped from it, not the revisionist history in textbooks and the lies spun by the communist academia and financed by globalist billionaires who have made their fortunes under the much maligned capitalism. 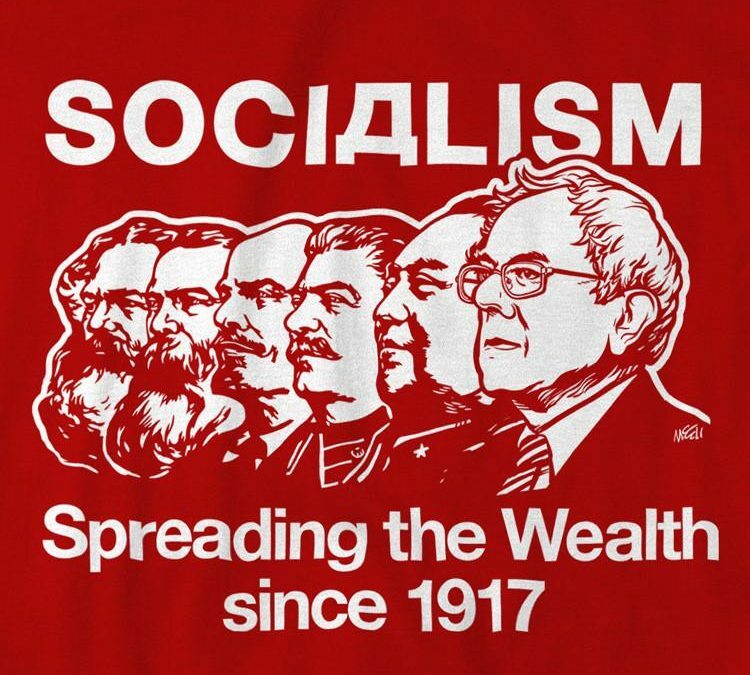 Bernie Sanders is selling socialism to you, young and old Americans, a failed ideology of violence, confiscation of property and land, starvation, poverty, political oppression, and loss of freedom. There is no equality, compassion, and social justice under socialism and communism. There is no social justice at all, just exploitation of the weak and disarmed. The tyrants like Mao, Pol Pot, Castro, Ceausescu, and Stalin, who had previously sold socialism to the masses have killed millions of their own people once those oppressed woke up and refused to follow the vicious path that destroyed their freedom and their lives.